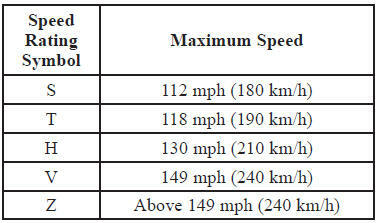 The chart below shows many of the different speed ratings currently being used for passenger car tires. The speed rating symbol is part of the tire size designation on the sidewall of the tire. This symbol corresponds to that tire’s designed maximum safe operating speed.